In the market for ceiling hanging hardware for your window displays or drop ceilings? 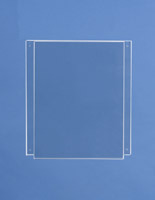 Assembled here is our entire selection of nylon and chain based sign holders. The ceiling hanging hardware sign systems offered in this listing come with barnacle hangers and eye or toggle bolts. 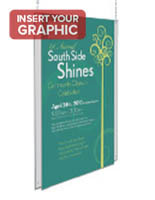 When it comes to in-store signage there is no correct or proper mounting procedure or even style. 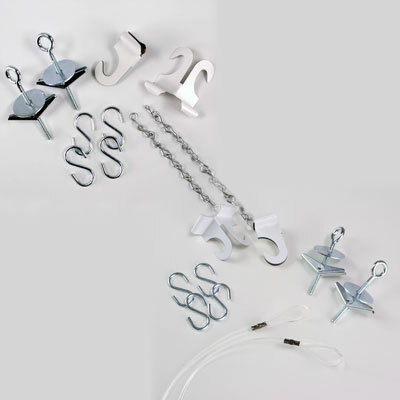 Our assemblage of ceiling hanging hardware, also known as chain and cable display systems has been designed to give you, our customer, a quick view of all of our lightweight mounting supplies. 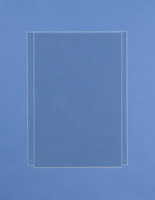 For your added convenience we have also grouped in all of our corresponding acrylic sign holders thus allowing for a full and easy shopping experience. 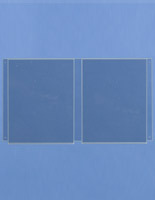 What makes this selection of display systems unique? This ceiling hanging hardware is designed to be used in conjunction with many more signs and sets. The sheer fact that most of these units can be daisy chained together is testament to the diverse and expandable nature of these kits. 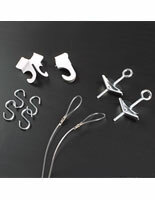 Each one of our starting kits comes with both barnacle hooks and toggle bolts. 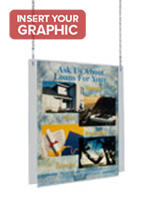 This allows our users to either mount directly into a drywall ceiling or hang their signage from a drop panel or tiled ceiling. 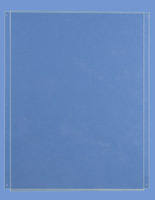 In addition to the full hanging hardware kits we also offer sign installation hardware paired with our best-selling acrylic frames. 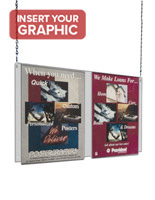 These all in one kits are the idea way to start to outfit a ceiling mounted advertising campaign. 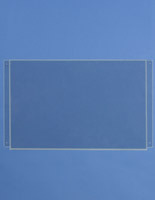 Top mounted mounting frames are the ideal manner of signs systems for window displays. 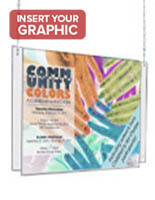 Likewise in store signage in designated areas has a strong and direct impact on customers. Retail settings are not the only locations which can benefit from this manner of sign hangers paired with sign installation hardware. 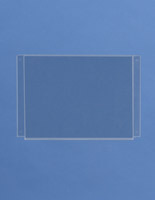 This style of display systems is often used in a wayfinding and directional manner. The simple fact these units hang level and can be placed in the direct eye line of customers and patrons is why they are so effective and some of our most sought after products. 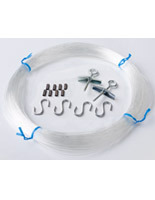 The lightweight monofilament line is great for hanging signs off of drop ceilings. 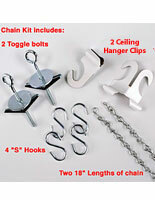 Also the fact that these chain cable systems use S-hooks is a major factor into why these units are so popular. 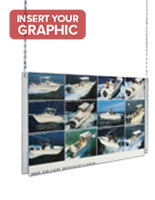 The ability to simply grow a display by adding acrylic frames and S-hooks is not only highly convenient but also non-labor intensive and very economical. 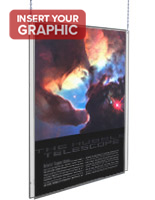 These hardware kits are some of our easiest display systems to install and are our most economical selections.